A Chinese charity has donated 60,000 bags with school supplies to the Namibian Ministry of Education, Arts and Culture. The donation, by the Beijing-based Chinese Foundation for Poverty Alleviation (CFPA), was made through an initiative called the Panda Pack project, which has already benefited 5 million pupils in China. 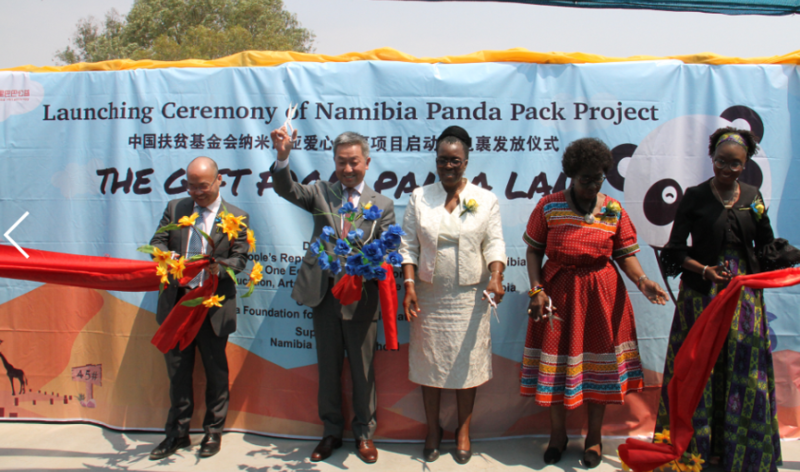 Guests cut the ribbon at the launching ceremony of Namibia Panda Pack Project in Windhoek, Namibia on Sept. 24, 2018.